This is my current favorite afternoon pick me up or morning kickstart (well, besides coffee). A light, cool, refreshing, filling, lip-moustaching drink. 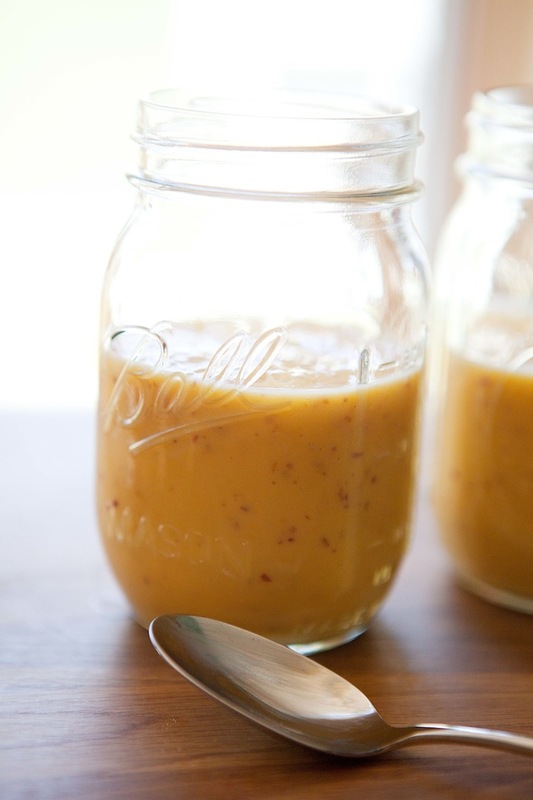 The companionship of buttermilk and maple are perfect for making the most of the brief but resplendent local peach season. 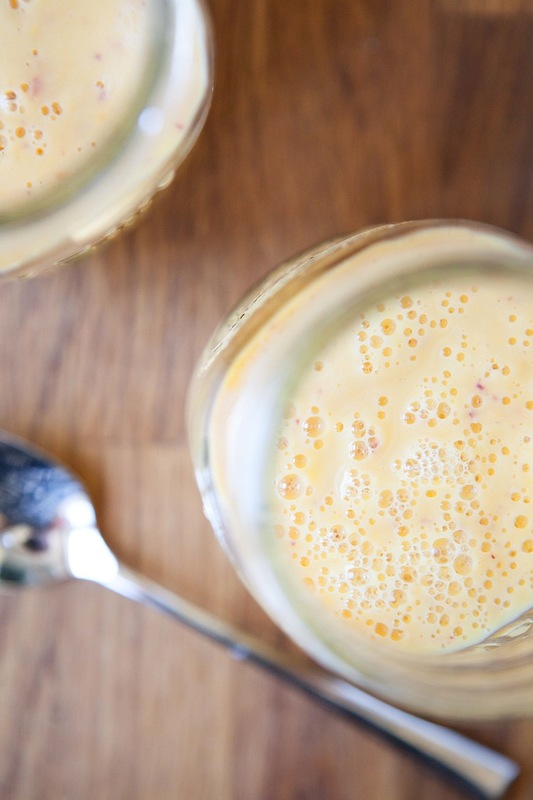 I don’t even bother to peel the peaches, leaving little flecks of sunset dotting my drink. And just imagine the possibilities with a scoop or two of ice cream or frozen yogurt in there. 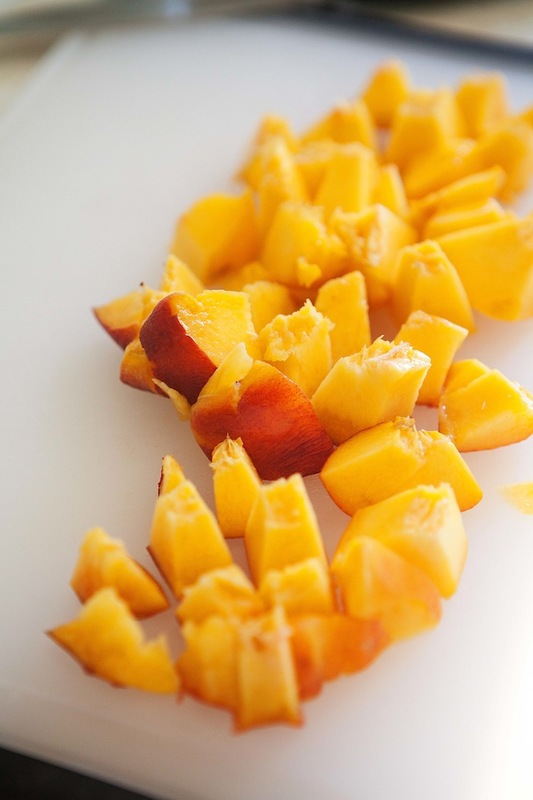 Put the peaches in a blender and pulse until they start to turn into a chunky sauce. Add the syrup and buttermilk and blend until pretty smooth and frothy. Taste and add more maple syrup, if desired. Until I read this, I hadn’t fully appreciated that we were nearly into those long hot August days. Thank you for the timely reminder and a wonderful drink to celebrate those days with. Thanks! I can’t quite believe it myself either! This entry caused your Auntie Kathy to drive to the store at 8 pm to pick up some buttermilk and peaches, so she could have this for breakfast! Yeah, I liked it! I’ll definitely make it again. It’s too bad summer fruits are here for such a short amount of time. 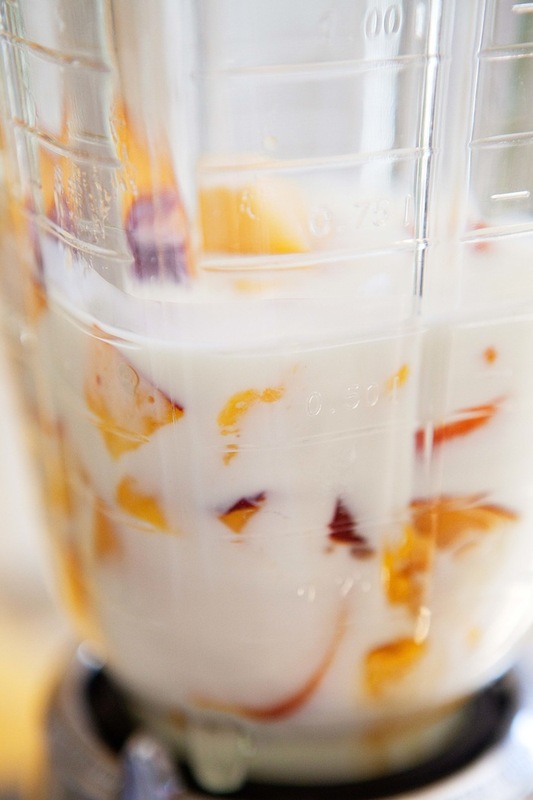 You are currently reading Buttermilk peach smoothie at Five And Spice.